Discovering the Secret Masterpieces of Servo | The Gettysburgian. Gettysburg College’s Dining Center, affectionately referred to as Servo, is the host to many delicious meals every day. Students, however, sometimes take meals into their own hands and put a creative spin on the already mouth-watering ingredients Servo has to offer. Whether it is a grilled cheese sandwich or ice cream sandwiched between two Servo cookies, students at Gettysburg always cater to their personal tastes, and even go above and beyond Servo’s normal offerings. Two students in particular have taken these food masterpieces to the next level and started a social media account to document their latest creations. Will Hopkins ‘22 and Matt Robinson ‘19 began the Instagram page “Secrets of Servo” to showcase their original delicacies. Hopkins and Robinson have garnered a following of over 200 through their Instagram account (@secrets_of_servo). The pair have even started posting follower submissions and one Secrets of Servo Challenge winner. 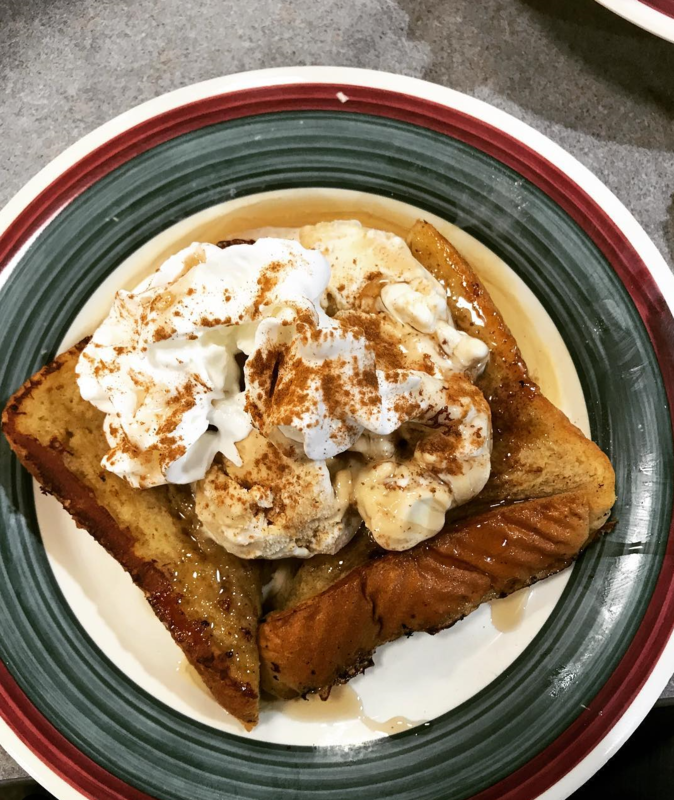 They first began the account, however, with their own personal creation: french toast with maple bourbon ice cream. Secrets of Servo describes this creation as a “chocolate cakewich topped with chocolate ice cream and drizzled with chocolate syrup” (Photo courtesy of Will Hopkins and Matt Robinson). The Secrets of Servo account features a variety of inventive meals, including desserts like a chocolate “cakewich” (inverted cupcake) topped with ice cream or apple crisp finished with cinnamon ice cream, fresh apples, and a sprinkle of cinnamon. They have also posted savory options such as toast smeared with cream cheese and meticulously layered with cucumbers. Robinson and Hopkins are not the only ones who get creative in Servo. Some students assemble inventive meals based on their dietary choices. Zach de Besche ‘22 enjoys making salads with healthy toppings in the dining hall. Some of de Besche’s meals include spinach topped with nuts, chickpeas, sunflower seeds, olive oil, roasted tomatoes, and a veggie burger. He also enjoys making a healthy dessert substitute with a bowl of blueberries, sunbutter, nuts, and almond milk. 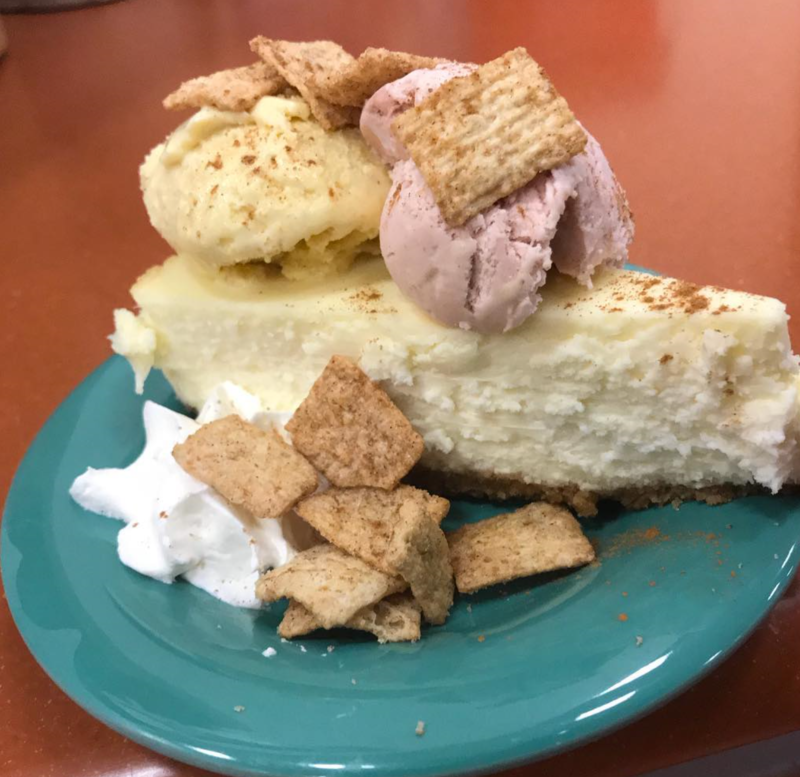 This dish is a an unusual combination of plain cheesecake, pumpkin and cinnamon ice cream, Cinnamon Toast Crunch, and cinnamon sprinkled on top (Photo courtesy of Will Hopkins and Matt Robinson). Ultimately, students share a love for creating and enjoying delicious foods, all the while uncovering the wide variety of options at Servo. 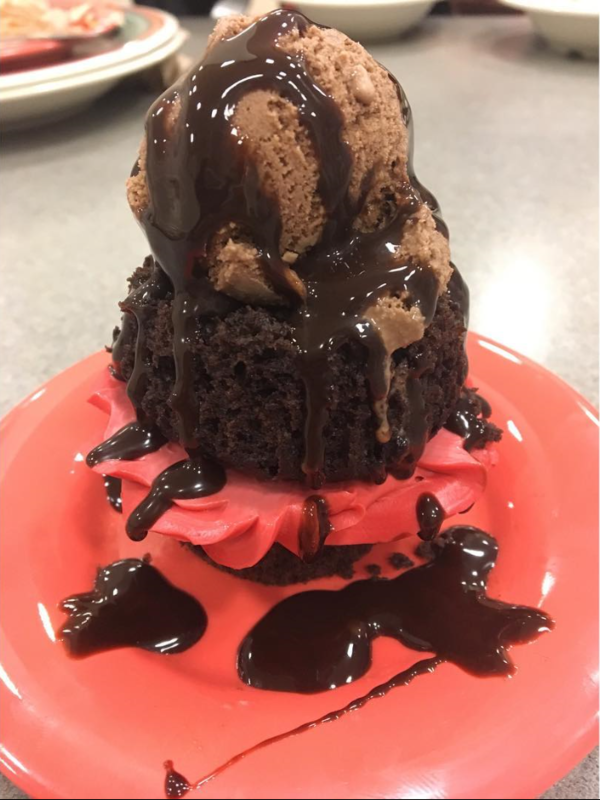 Students’ food creations would not be possible, however, without Gettysburg Dining Services and the hardworking staff at Servo and dining centers all across campus.